Provide comfort for the family of Josephine Bricker with a meaningful gesture of sympathy. Josephine M. Guerrisi Bricker, 89, of Hummelstown, passed away Monday, February 4, 2019, in the M.S. Hershey Medical Center. Born in Harrisburg on May 19, 1929, she was the daughter of the late Giuseppe and Giovanna Sorrento Guerrisi. Josephine retired as a Secretary from the Pennsylvania Department of Labor & Industry; and was a trained seamstress and tailor. She was a 1947 graduate of the former Harrisburg Catholic High School. Josephine was an active member of St. Joan of Arc Roman Catholic Church where she served on the Council of Catholic Women, and was a member of its Resurrection Choir, Knitting Ministry and Areba Club. A true ice hockey fan, she rarely missed watching a Philadelphia Flyers game, and for many years would darn the socks of the Hershey Bears after every game. Josephine enjoyed knitting, but especially found joy in cooking and baking for her family. She was preceded in death by her husband, Harry A. “Henner” “Babes” Bricker, on Monday, July 28, 2008; three sisters, Bettina Guerrisi, Helen Brown, and Sr. Gertrude; and four brothers, John, Jerry, Richard and Frank Guerrisi. Josephine is survived by one daughter, Nancy L. Popp wife of Joseph E. of Hummelstown; one son, Harry A. Bricker of Sicklerville, NJ; four granddaughters, Rachael J. Hall wife of Jarrod of Charleroi, Jessica R. Fegley wife of Jamey of Harrisburg, Jennifer L. Gingrich wife of Joseph of Lewisberry, and Hayley A. Bricker of Voorhees, NJ; and nine great grandchildren, Mackenzie Hall, Tyler Hall, Riley Fegley, Addison Fegley, Carter Fegley, Peyton Fegley, Parker Fegley, Wesley Gingrich and Elena Gingrich. Mass of Christian Burial will be celebrated on Thursday, February 14, 2019, at 10:30 AM in St. Joan of Arc Roman Catholic Church, 359 West Areba Avenue, Hershey, with The Rev. Fr. Kenneth C. Roth as celebrant. Interment will be held in Indiantown Gap National Cemetery, East Hanover Township. Friends are invited to the viewings on Wednesday, February 13, 2019 from 6 to 8 PM in the Trefz & Bowser Funeral Home, Inc, 114 West Main Street, Hummelstown, and in the church on Thursday from 10 to 10:30 AM. The family has requested that memorial contributions be sent to St. Joan of Arc Roman Catholic Church, 359 West Areba Avenue, Hershey, PA 17033. 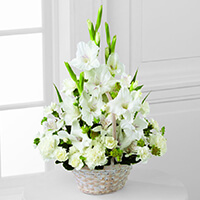 To send flowers in memory of Josephine M. Bricker (Guerrisi), please visit our Heartfelt Sympathies Store. Derek and Maria, James van Riemsdyk and Lauren Tjernlund, and others have sent flowers to the family of Josephine M. Bricker (Guerrisi). Our hearts and prayers are with you. So sorry for your loss. Derek and Maria purchased the The FTD Pastel Peace Basket for the family of Josephine Bricker. James van Riemsdyk and Lauren Tjernlund purchased the The FTD Truly Loved Basket for the family of Josephine Bricker. Our thoughts and prayers are with you. Our most sincere condolences. Laurence & Sean Couturier purchased the The FTD Eternal Affection Arrangement for the family of Josephine Bricker. 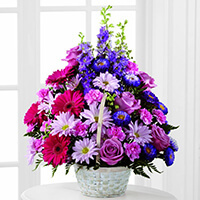 Zack Hill purchased the The FTD Eternal Affection Arrangement for the family of Josephine Bricker.